Devoted to providing leadership in a competitive workforce, Pauline “Polly” Roush Liss has spent more than seven decades working within her community. She has been the secretary treasurer of the American Association for Career Education since 1982, and was previously the editor-in-chief of the National Curriculum Audit Center of the American Association of School Administrators and the editor of the Pan American Union of the Organization of American States Inter-American Statistical Institute. She also served on the Arlington Country Public Schools Citizens Advisory Committee on Career, Technology, and Adult Education for several years. The highlight of Mrs. Liss’s career has been the three programs that she has developed and presented on science, technology, engineering and mathematics (STEM). The first, in 2013, was a panel of six education professionals from four school divisions in Northern Virginia, representing 280,467 students, who talked about health and STEM programs in their schools. The second, in 2014, was a panel of four of Virginia’s esteemed institutions of higher education who talked about health, the arts, STEM and their links to K-12 students and their preparation for a United States workforce that is capable and flexible and needed to compete globally. The last program, in 2015, brought together a panel of a high school student with three young graduates of STEM, health, and the arts programs who are currently employed in those fields. Ms. Liss prepared for her endeavors by earning earned a Bachelor of Arts from the University of Alabama in 1948 and a Master of Science in social foundations education from the University of Virginia in 1983. She also became involved with a number of prominent professional organizations. 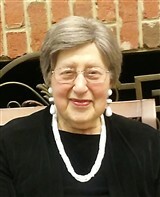 She is a member and past chairman of the Advisory Committee on Career, Technology, & Adult Education in Arlington, a life member of the local chapter of ORT America, a former board member of the League of Women Voters in Arlington, and a former secretary and past president of Citizens for the Classics. She founded the Arlington County Coalition for Career Education. In recognition of her accomplishments, Ms. Liss received a Career Education Initiatives Award from the American Association for Career Education in 2001, the Gina award from the Y.-ME National Breast Cancer Organization, Mid-Atlantic Affiliate, in 2007, a civic award from the Arlington School Administrators in 2004, and the Golden Rule Volunteer Finalist Award from J.C. Penney in 2000. She also received the Who’s Who Lifetime Achievement Award and is featured in Who’s Who in America. When Ms. Liss has spare time, she enjoys writing and contributing articles to professional journals.